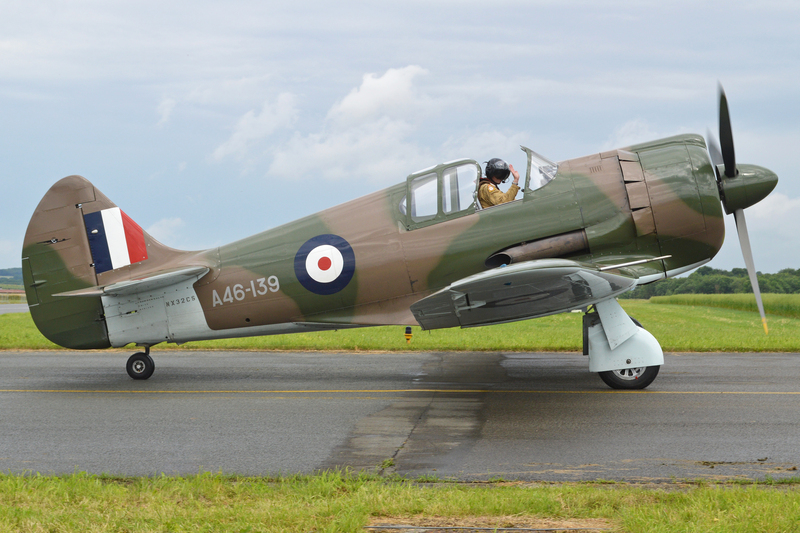 The RAAF Amberley Heritage Centre took delivery of a new prize on August 28th with the arrival of a Commonwealth CA-19 Boomerang. Prior to her arrival the Boomer’ had been a fixture since 2007 at the Australian Army Flying Museum in Oakey, about seventy five miles west of Amberley, in Queensland, Australia. The beautifully restored Boomerang incorporates parts from several examples, as is true for all survivors of the breed, but her identity belongs to A46-206. A46-206 rolled off the Commonwealth Aircraft Corporation’s production line at the famous Fishermans Bend plant in Melbourne, Victoria during June, 1944. She initially went to the No.1 Aircraft Depot at RAAF Laverton, before joining RAAF 83 Squadron on July 27th, 1944. 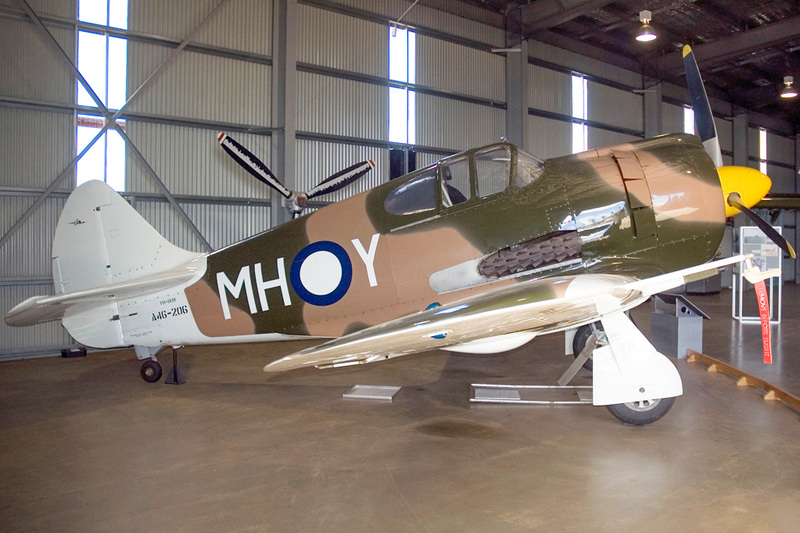 A46-206 received the squadron codes MH-Y at this point, along with nose art entitled ‘Milingimbi Ghost’. Already obsolescent by the time she entered service, 206’s flying days were brief in Royal Australian Air Force service, which relegated the fighter to storage with No.6 AD at Oakey on March 28th, 1945. 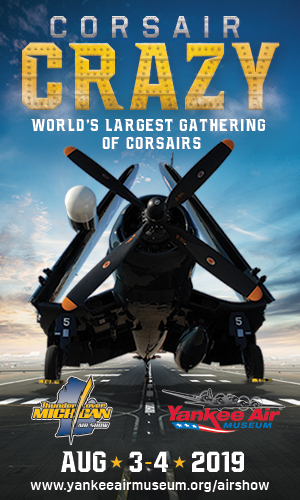 The RAAF officially struck her off charge on November 15th, 1948. A local farmer named John Woods acquired her dismantled remains, and hauled them off to his farm along with A46-81, which was in a similar condition. A46-206 lingered on at Woods’ farm until collected by Bill Martin for the Darling Downs Aviation Museum in about 1980. Martin began a static restoration on the airframe, but sold the project on to Guido Zuccoli in 1985. It was with the late Guido Zuccoli that A46-206’s future fully bloomed. He was the man behind her restoration, and the resurrection of the entire type owes much to this man’s singular dedication. Zuccoli collected the mortal remains of at least half a dozen other Boomerangs during his life, and made some progress with the project before contracting Sanders Aircraft in Chino, California to complete the effort back in the early ’90s. However, the first project which the Sanders completed for Zuccoli was a Boomerang replica, with some original parts from A46-139 based upon a T-6 Texan airframe (both types having derived from the NA-16). Nicknamed ‘Phooey’, the replica flew for the first time in July, 1991, which was the first time that any Boomerang of any stripe had flown since shortly after WWII. With the experience gained building up ‘Phooey’, Sanders Aircraft turned themselves towards the more accurate restoration of A46-206. She flew again for the first time at Chino on June 12th, 1992, albeit with modified T-6 wings, rather than true Boomerang units. Zuccoli brought the Boomer back to Australia later that year, and made the type’s triumphant first flight in the land of her birth on October 3rd. Zuccoli had some new outer wings built up in Brisbane which were authentic to the original CAC CA-19 design. She flew again with these units on January 14th, 1994. Tragically Guido Zuccoli, a beloved character and leading light in the foundation of the Australian warbird movement, died in the crash of his newly restored T-6 on March 6th, 1997. Following Zuccoli’s death, his wife Lynette kept and maintained the majority of their vintage aircraft collection, which also included a Fiat G.59 and Hawker Fury ISS amongst other treasures. 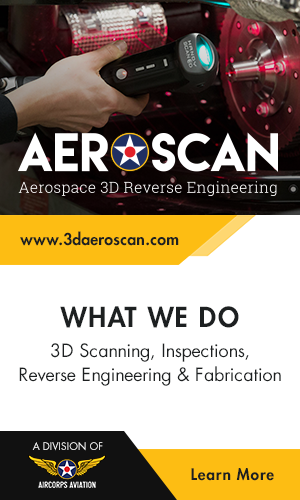 She formed the restoration and maintenance company Aerotec in 1998, a company which is still going strong to this day. 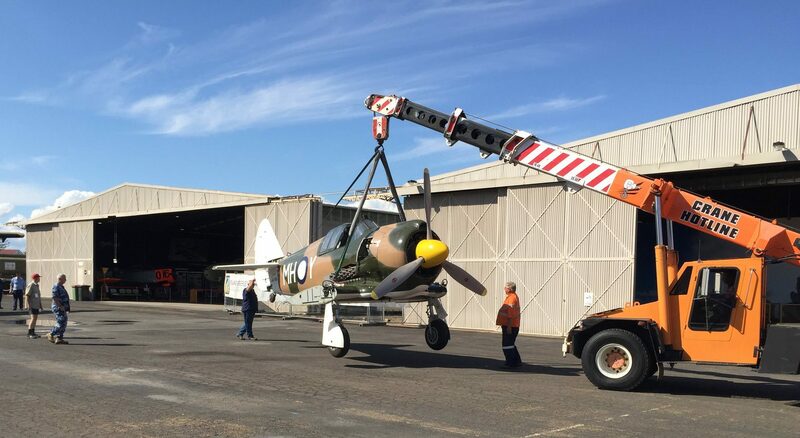 In 2007, Lynette Zuccoli donated Boomerang A46-206 to the Australian Army Flying Museum, which proudly displayed the aircraft in their hangar until the recent move. 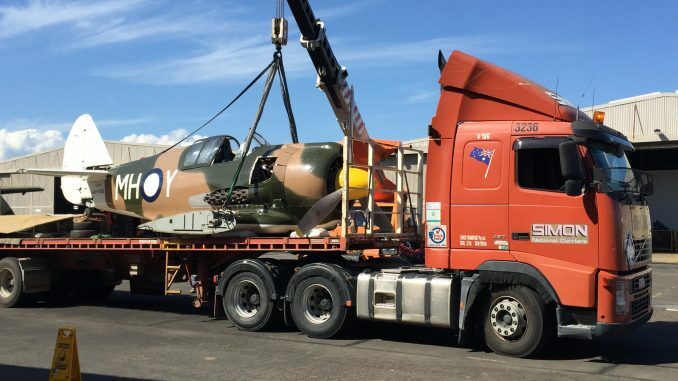 While the Boomerang has not flown in at least 15 years now, and is unlikely to again, it will bring the story of this important Australian type to a much larger audience at her new home, which is just outside the major port city of Brisbane, Queensland. Many thanks to Don Beenwu for the recent images, and to Phil Buckley for bringing us the story!